American automobile manufacturers have made enormous progress in recent decades to ensure that the cars we drive here in the U.S. are safer. American consumers now take airbags and anti-collision systems for granted when they buy a car, and the long-term trend is clear: Lives are being saved on our roads. And it’s a great time to celebrate those accomplishments at the 25th International Technical Conference on the Enhanced Safety of Vehicles in Detroit. Unfortunately, vehicle safety is a very different story abroad. Many developing countries have lax vehicle safety standards. Around the world, road crashes kill an estimated 1.3 million people each year and injure up to 50 million. There, automakers — including U.S. and European companies — routinely sell cars without many of the basic safety protections that are standard here at home. Often, they are sold without airbags or electronic stability systems, and they are not capable of protecting passengers in crashes above 35 m.p.h. The result: An awful lot of people are being killed in crashes that, in the U.S. and Europe, they would likely survive. Ninety percent of crash fatalities occur in low- and middle-income countries, according to the World Health Organization. Many of these lives could be saved. 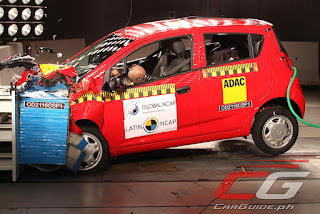 By 2030, for instance, 40,000 people could be saved from deadly car crashes, and 400,000 serious injuries could be prevented, in just four Latin American countries (Argentina, Brazil, Chile and Mexico), if they adopt minimum vehicle safety standards. Meeting those standards is not expensive. For car manufacturers, the difference in building a car to the highest or lowest safety ratings can be as small as a couple hundred dollars. For car passengers, it can mean the difference between life and death. Automakers have argued that producing cars without airbags and other basic safety features helps keep them affordable in lower-income markets. But the cost of basic safety features is so low that incorporating them into production would have little impact on affordability. Consider the Chevy Spark. It’s among the best-selling cars in Mexico, yet it received a safety rating of zero out of a possible five stars, based on test crashes carried out last year by the Latin New Car Assessment Program, which is funded in part by Bloomberg Philanthropies. Of the 10 top-selling car models in Mexico, at least four have safety ratings of zero stars. A video of the Sail, a slightly larger Chevrolet sedan sold also in Latin America is shown below. Zero stars means, in short, that a passenger is not likely to survive a crash. Yet the version of the Spark sold in the U.S. receives the highest-possible safety rating. Foreign consumers who think that all cars manufactured by General Motors are built according to U.S. safety standards are tragically mistaken. The same is true for cars manufactured in Europe and sold in Latin America and other regions of the world. In India, for instance, major global brands including GM, Hyundai, Renault-Nissan and Tata are all selling zero-star cars (as rated by the Global New Car Assessment Program, also a recipient of funding from Bloomberg Philanthropies) that would fail to pass the safety standards applied in the U.S. or Europe. Last year, more than 600,000 zero-star cars were sold in India, including the best-selling model, the Maruti Suzuki Alto. This is a major public health crisis that has not gotten anywhere near the attention it deserves, and it demands an urgent response both by governments and automakers. What can be done? Automakers should make voluntary commitments that all of their cars swiftly reach or exceed the safety standards adopted by the United Nations. Cars sold in the U.S., most of Europe, Japan, Korea and Australia already meet these or equivalent national standards, but not those sold in most of the rest of the world. At the same time, governments should create and enforce better vehicle safety standards. And raising consumer awareness through independent crash-test programs, like the one in Latin America, would help more consumers make informed choices. And the truth is, auto companies have good reasons to act, too. As living standards rise across Latin America, India and Asia, consumers with more buying power will demand safer cars. Companies that take the lead are likely to be rewarded with higher sales, as they are in the U.S. and other places where car safety information is readily available. But if history is any guide, action will only come with public pressure. 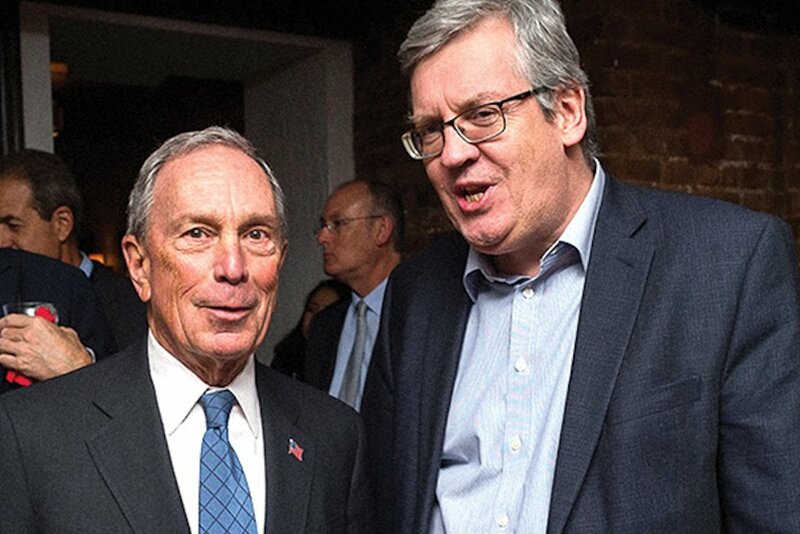 Bloomberg Philanthropies will launch a consumer education campaign in Latin America later this summer to address these challenges. This will help ensure that car buyers know which cars aren’t safe and which companies aren’t providing safe options. Informed consumers will have the power to impact car sales and save lives. If car crashes were an infectious disease, like malaria or polio, governments, international aid organizations and foundations would pour money and energy into stopping it, as is only right. If that kind of determination is brought to bear on road crashes, we can save millions of lives and prevent untold amounts of heartache and grief.